Тема в разделе "СКАМ", создана пользователем All-HYIPs.info, апр 12, 2018. 12.04.18 11:52 Transfer Sent Payment: 200.00 USD to account U15846644 from U1294xxx. Batch: ‎211361863. Memo: Shopping Cart Payment. Deposit amount $ 200.00, for allhyips. Date operation ‎2018-04-12 10-55-22. 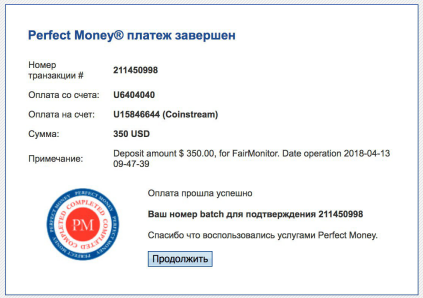 Примечание - Withdraw to FairMonitor. From Coinstream.biz. 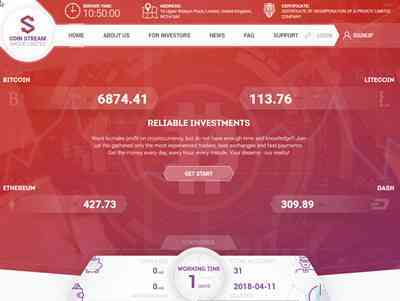 Date 2018-04-13 19:22:38.
coinstream +362.00 Received Payment 362.00 USD from account U15846644. coinstream -351.75 1.75 Sent Payment 350.00 USD to account U15846644. Memo: Shopping Cart Payment. Deposit amount $ 350.00, for FairMonitor. Date operation 2018-04-14 18-26-14.